Having a development team working on your website is great. They can manage things, write impressive code, and make your site unique. Yet sometimes, it makes a project complicated. This happens especially when your website needs to be small and simple. There is a way to make things simpler and more comfortable for everyone – acquiring a CMS. A CMS can help you push your website into production faster and with fewer efforts. This article will provide you with more information to help you make your choice. What is a CMS and why would you want one? 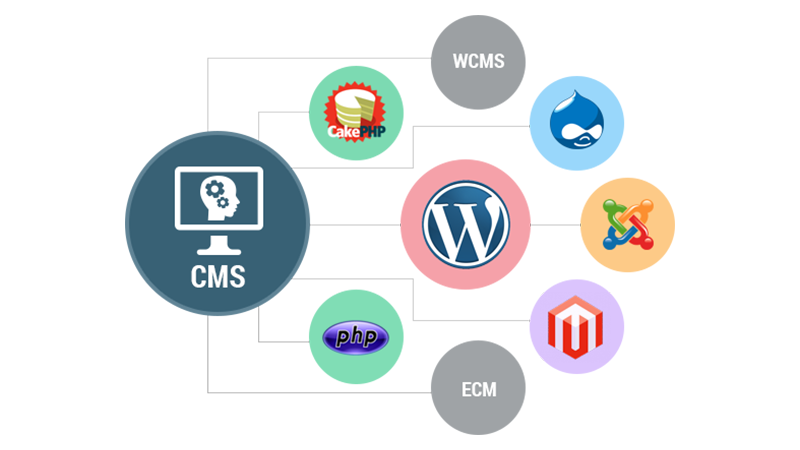 A CMS (Content Management System) is a type of software that creates and manages your content more easily. There are a few features that are related to CMS. The main ones include search, format management, indexing, and publishing. indexing and search look for specific attributes faster. These attributes can refer to the creator of the content, keywords, date, etc. publishing means having templates available with some specific settings or other tools for content modification and creation. Certain CMS can also include so-called one-to-one marketing. It’s a feature which allows managing ads for a website to match a particular user. We all know situations when you have searched for something and seconds later you see tons of ads for this product everywhere. This is exactly what one-to-one-marketing does. These are, of course, not all the features which are available in a CMS. Some other features can include online help, template customization, multiple-language support, file managers, and so on. When there are so many options out there, how do you go about finding the right one? For the CMS to work best with your project, it’s important to understand what you want. Your requirements will play a big role in your selection process. This makes sense for two reasons. First, its simplicity. You don’t bother yourself with unneeded and unused features. Second is that you don’t overload the system with unnecessary heavy software. It should be easy to use. CMS will not always be used solely by developers, so it’s a good thing when it’s intuitively clear to other users who will interact with the system as well. It should serve its purpose. We already mentioned that it’s important not to overuse system resources. So, if you want a CMS to manage your blog, choose one that is built for this purpose. Otherwise, you risk getting stuck in options you don’t need and can’t switch off. And what was supposed to be a minute edit will turn into a few hours’ detour. Usability. 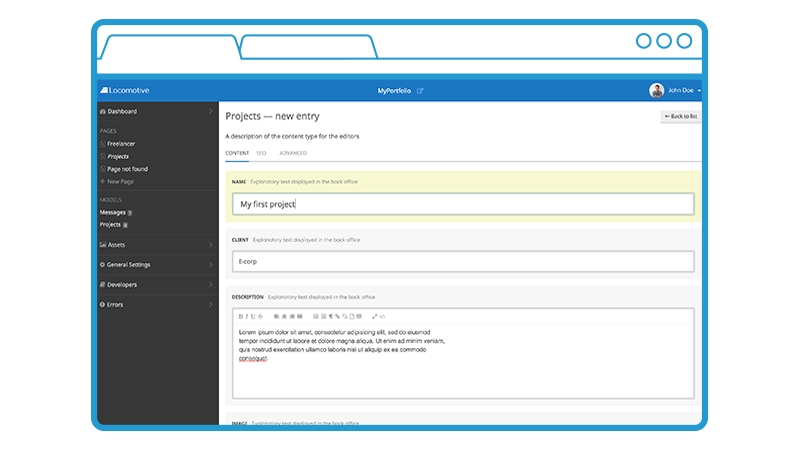 Pay attention to features available in the CMS and the ability to add new ones. If you decide to extend your app in future, will you still be able to do that with the current CMS or will you have to switch to a new one? User-friendliness. This point relates to the first one, but it’s also important for the system to be developer-friendly. If you are opting for a CMS, your development team might need to modify some plugins or the code of the CMS. So, it’s good to check if the ability is present and consult with the developers themselves. Performance. Last but not the least is to see how the CMS will perform with a lot of traffic coming to your website. After all, you don’t want to slow down your website. Here, in Sloboda Studio, we specialize in Ruby on Rails development. So we are going to provide you with the best options for Ruby on Rails Content Management System platforms available at the moment. This way you can find one that satisfies your needs. Refinery has been around for more than a decade now. It initially started as a closed project but became available as an open-source in 2009. It is often called the best Ruby on Rails CMS. 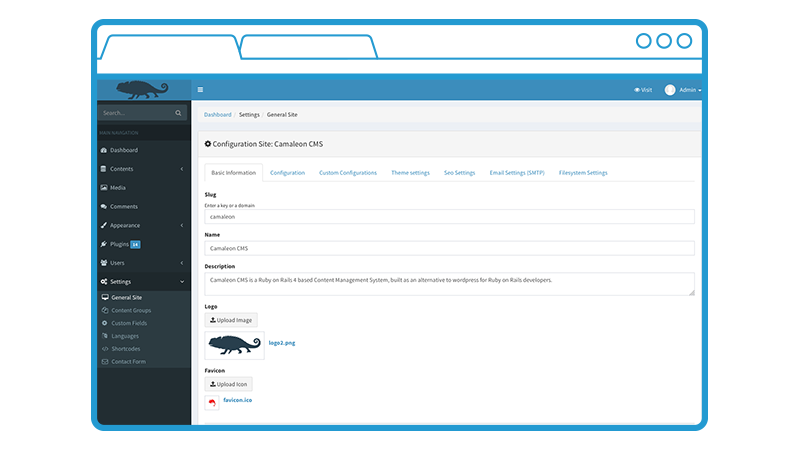 The functionality is quite extensive and features options like calendars, a gallery with a built-in editor, and Elasticsearch support. This CMS has a multi-language support with about 30 languages available. Refinery is quite basic but is easy to extend and can be bundled with any other Ruby application. It’s absolutely free right now and has almost 400 contributors helping to keep it developing. You can add roles for permissions within this software and it has a tree-structure navigation. The downsides of the Refinery is that it might be too simple and basic. Besides, there are not too many extensions available at the moment. Another flaw is that it provides only a single field for the content per page. Locomotive is originally a blog engine but has Wagon (command line interface) available for creating a website. It is often referred to as a top choice for Ruby-based CMS. Locomotive has a very pretty and easy-to-use design. Many options are manageable from the admin panel. To publish a website, you will need to have it created first and have various content types added locally. After that, you can push everything to the production. The editing can be done in real time, which makes it, perhaps, the best editor for Ruby on Rails. The noticeable feature about Locomotive is that it’s a company with a freemium model. This means that you can download the CMS as an open source product for free but can also order a hosted version from Locomotive. Their hosted versions cost from $19 up to $199 per month. The differences between packages include the number of sites you can host (1 with a $19 Personal pack and 100 with the $199 Enterprise one), the number of pageviews, and available storage. The Enterprise pack also provides a white label option. The main difference is that the free option suggests manual installation and management. The paid one has it covered by the platform. This way you don’t need to worry about how to perform the installation yourself. The obvious perks of Locomotive are that it’s open-sourced, has multi-language support, allows easy extensions for developers, offers great inline editing, and includes line preview. Custom content creation is available, as well as very extensive documentation, and it is actively supported by the community. The drawbacks are the absence of organized folders for managing assets, a too basic configuration for some of the options, and the CMS works exclusively on non-relational databases. Camaleon is another Ruby on Rails-based CMS which allows editing your website content. It has image management, blog post uploads, and admin panel available. 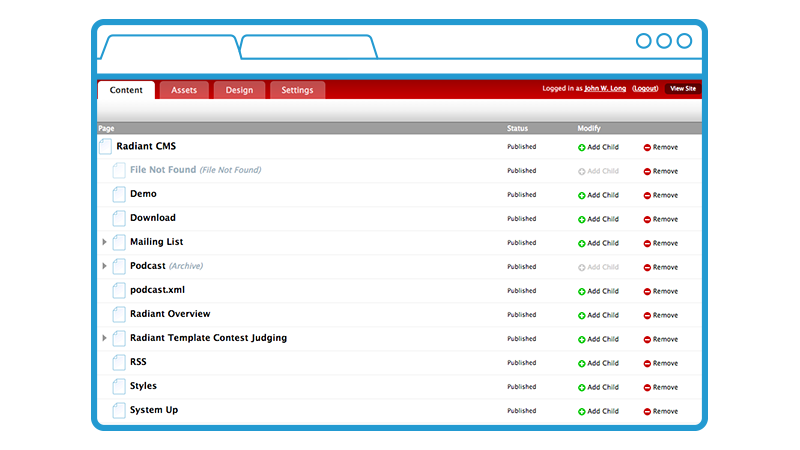 Besides, Camaleon allows creating and managing content groups for content categorization on your website. You will have themes and various menus and widgets available for usage. Those can help you build the view of your website to your liking. Role assignment is also available. You can create multiple roles with various permissions. The admin panel is available in English and Spanish and content can be published in English, German, Italian, and French. 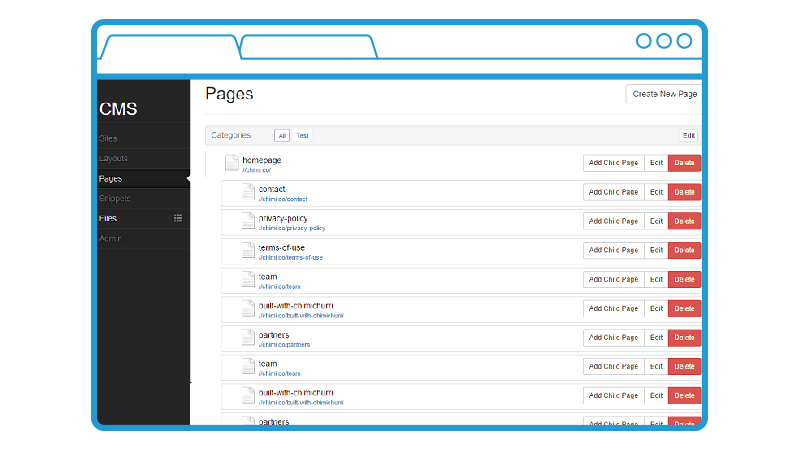 All the themes and plugins are available in the store and Camaleon provides a demo CMS. This platform also includes a plugin for security and availability to store files in the Amazon s3 cloud files. One can use accelerators like cache queries, cache contents, and manifests to improve site speed. And while Camaleon is quite a user- and SEO-friendly and easy-to-use system, it has its disadvantages as well. It can be a bit too basic for creating a bigger website. It supports fewer languages than some other platforms and the number of themes is limited to 5. Additionally, the documentation is not as detailed and the number of contributors is significantly fewer than for Refinery or Locomotive. But it is a good solution to choose if you are not looking for anything too complex. This CMS with a rather funny name well deserves to be among some of the top CMSs. Sofa uses tools different than what most of the Rails CMS’s use. For instance, it allows you to alter HTML layouts with the help of the CodeMirror editor. This is not particularly simple since you need to acquaint yourself with a few tags designed for the CMS. This CMS uses a special gem (l18n) to integrate multi-language support. Multiple websites created with this CMS can be mirrored to display the same layout system. And Sofa is capable of updating website layouts itself. If a layout has been changed for one website, all others that are mirrored get updated automatically. The CMS supports Ruby on Rails 4 and 5, it’s very light and is customizable. Sofa is a really good solution for small development teams. It can be easily integrated into an existing project. Like other CMS’s, it has multi-language and multi-site support. Besides that, it also enables you to control layout, code snippets, and pages versions. 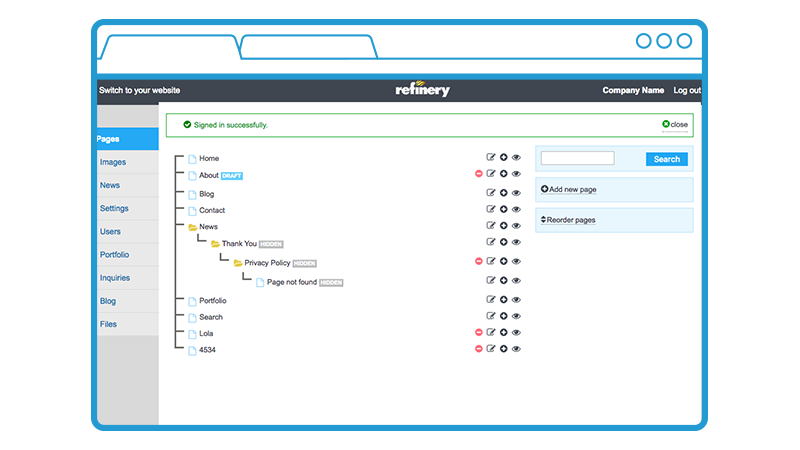 Additional extensions like user management are also in stock. The CMS has wide documentation and a little over 100 contributors on GitHub and is one of the best rails cms available. Nevertheless, there are some drawbacks as well. There is no folder organization available for managing assets, and only a single field is present for content per page. Also, some features only have a basic configuration. Radiant is one of the oldest and most popular Ruby on Rails Content Management Systems. It has been created back in 2006 and since then has accumulated an impressive number of over 200 extensions. These extensions allow for various uses and since they do not modify the code, upgrade of the CMS is made easy. The system provides layouts, snippets, and pages as its elements. There is a big collection of templates available, as well as multi-language support. There are numerous fields for content per page, and assets can be managed according to asset categories. And it’s 100% free of charge. The downsides are the look of the admin panel, which looks best in Firefox and Safari, as well as user permissions that are not very extensive and don’t provide many possibilities. But the main point is that the project has not been updated in a long while, even though it does support the latest Ruby version. There are a few options which are similar to all the Ruby on Rails CMSs available. They all strive for simplicity, global coverage, and providing the minimum basic functions. That’s why there is no a one-fits-all solution on how to choose a CMS. When making a choice for your project, don’t forget to pay attention to the core functions available and the drawbacks. Think in advance about how you would like your project to develop and which system can bring you the most benefit.